My solo show, ’A Man of Many Particles’. opens at St. Jude’s Gallery, Itteringham, Norfolk (stjudesgallery.co.uk) on Saturday 25th June and runs till 23rd July. 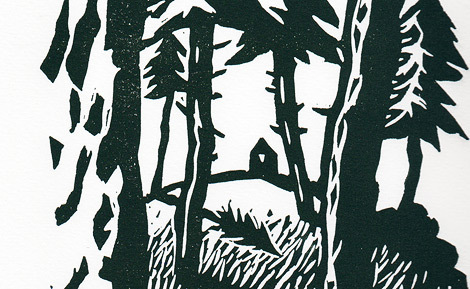 Lots of exciting brand new prints – many from my recent residency at Leicester Print Workshop – on show. 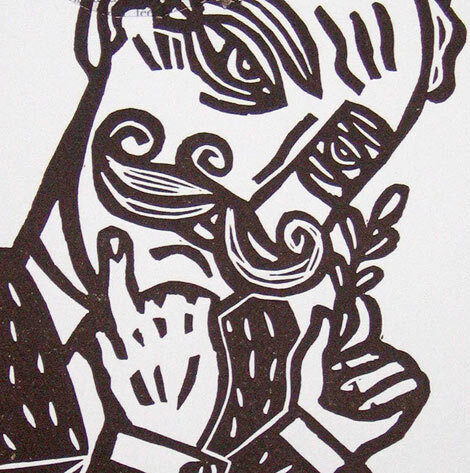 Leicester Print Workshop have kindly given me the opportunity to be their Artist in Residence between November this year and April 2011. 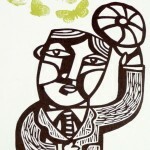 I’ll be using my time to develop some new garden / poetry themed muti-media prints in time for the St. Jude’s solo show. I’ll also be doing some projects with Workshop members. The series of poetry books published by Faber for which I did the cover of ‘Kid’ by Simon Armitage features in the Illustration Annual part of the July edition of Creative Review Magazine (available in all good newsagents). Solo show at St. Jude’s Gallery, Itteringham, Norfolk. Taking part in the ‘St. Jude’s in the City’ exhibition at the Bankside Gallery, London, showing work by St. Jude’s artists and associated friends and makers. 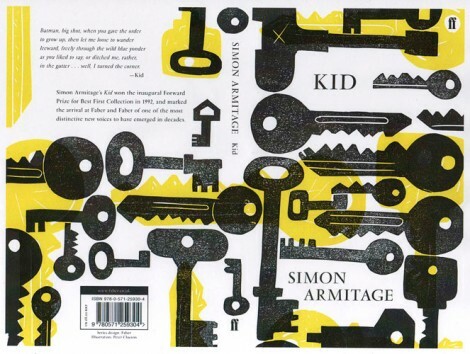 Commissioned by Faber and Faber to produce illustrations for the cover and end papers of ‘Kid’ by Simon Armitage. Alongside three other artists, Sarah Kirby, Gemma Wright and … I was commissioned to produce a series of prints based on the Social History Collection at Rugby Art Gallery and Museum.